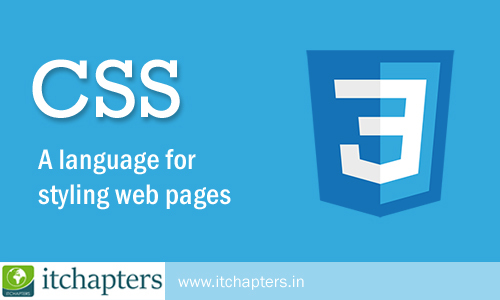 Cascading Style Sheets, commonly known as CSS, is an integral part of the modern web development process. It is a highly effective HTML tool that provides easy control over layout and presentation of web pages by separating content from design. CSS is the language for describing the presentation of Web pages, including colors, layout and fonts. It allows one to adapt the presentation to different types of devices, such as large screens, small screens, or printers. CSS is independent of HTML and can be used with any XML-based markup language. Easier to maintain and update. What you learn in CSS? You will learn many aspects of styling web pages from setting up the correct file structure, to editing text and colors, to creating attractive layouts. You'll be able to customize the appearance of your web pages to suit your every need! You will learn how to add CSS in your web pages (Inline, Internal & External). You can apply CSS on text formatting elements and paragraph formatting elements. Applying features on list, tables, border, images, forms and input elements, understanding margin, positions, background images, layers and many more. You will be also able to learn CSS3 with media queries for better responsive web page design.